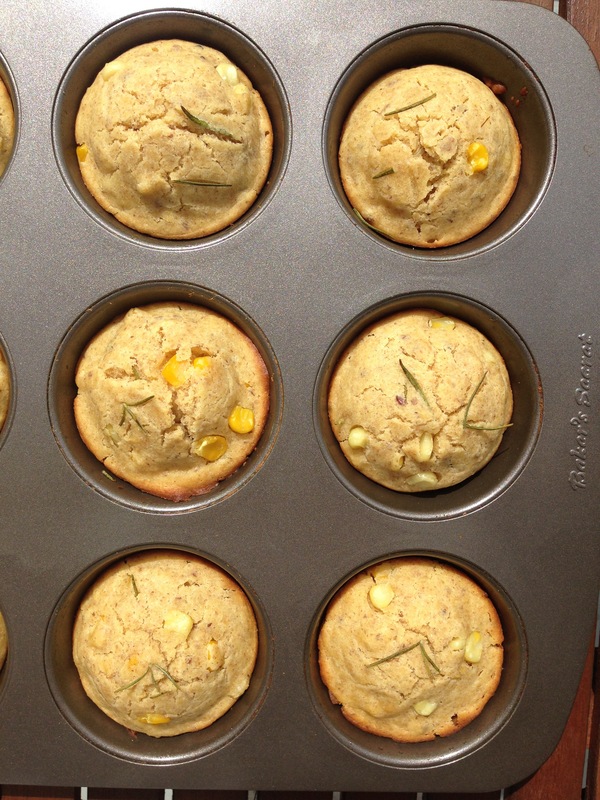 Baking powder is oh so magical! Do you know why it is often added to recipes? Baking powder is what helps your tasty treats rise to the occasion, or just rise.. Baking powder contains baking soda and a dry acid, two active ingredients which, when combined with or come into contact with a liquid, react by producing bubbles of carbon dioxide gas. Carbon dioxide acts as a leavening agent, increases volume and lightens the texture of your baked goods. Basically put, the carbon dioxide is released into the dough or batter and that results in beautiful fluff factor and an overall pillowyness for your baked goods. There you go, now you’re a food chemistry expert! 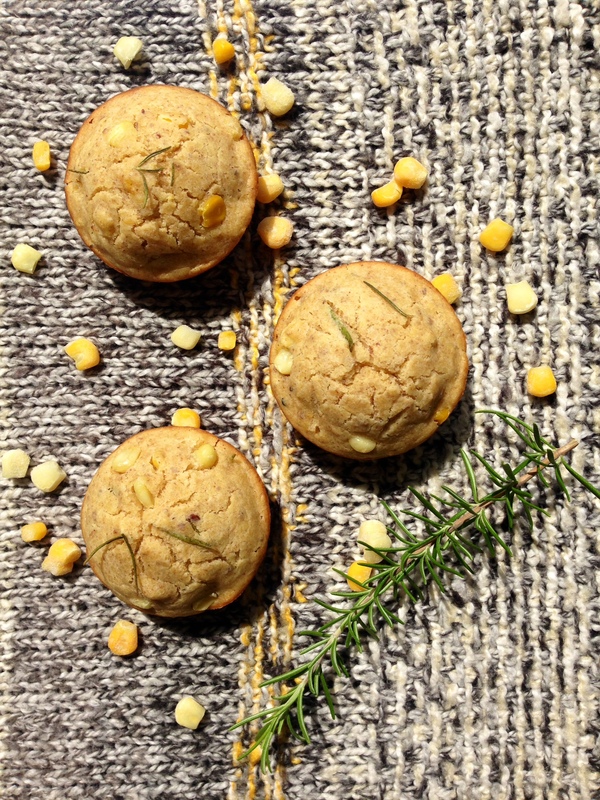 As you’ll notice when you bake these delectable muffins, they rise to the challenge quite quickly (only 15-2o minutes you guys!). 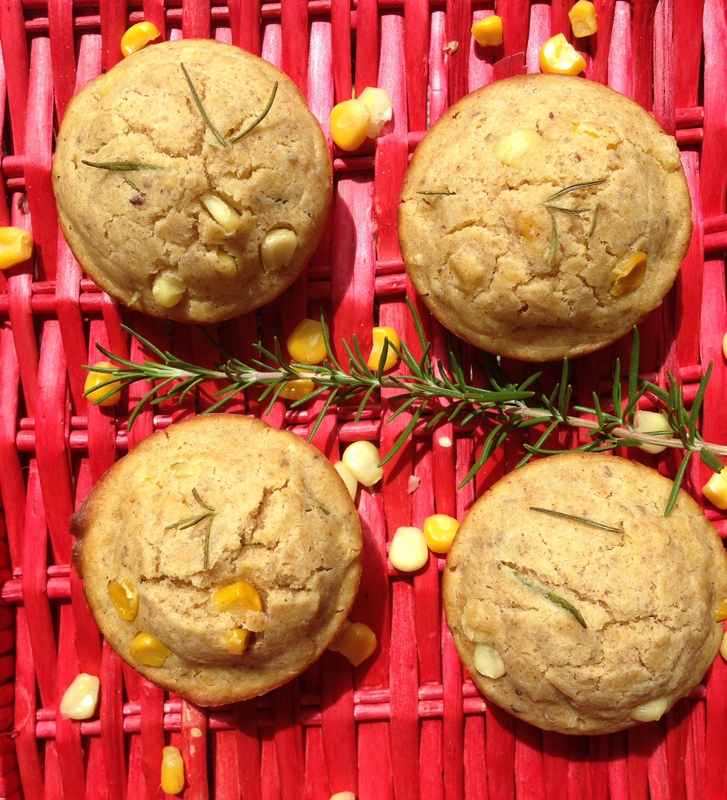 For your 411, these muffins could count as one portion of grain products or 1 starch equivalent for your meal given they are made up of flour and corn. People often ask me if higher carbohydrate vegetables like carrots, beets, peas, corn, etc. count as starches (i.e. replace bread/rice/pasta) in a meal so as to not double up on carbohydrates. This is a great question. Peas, corn and potatoes are significantly higher in carbohydrates than other vegetables so can count as the starch of your meal (read: they are starchy). 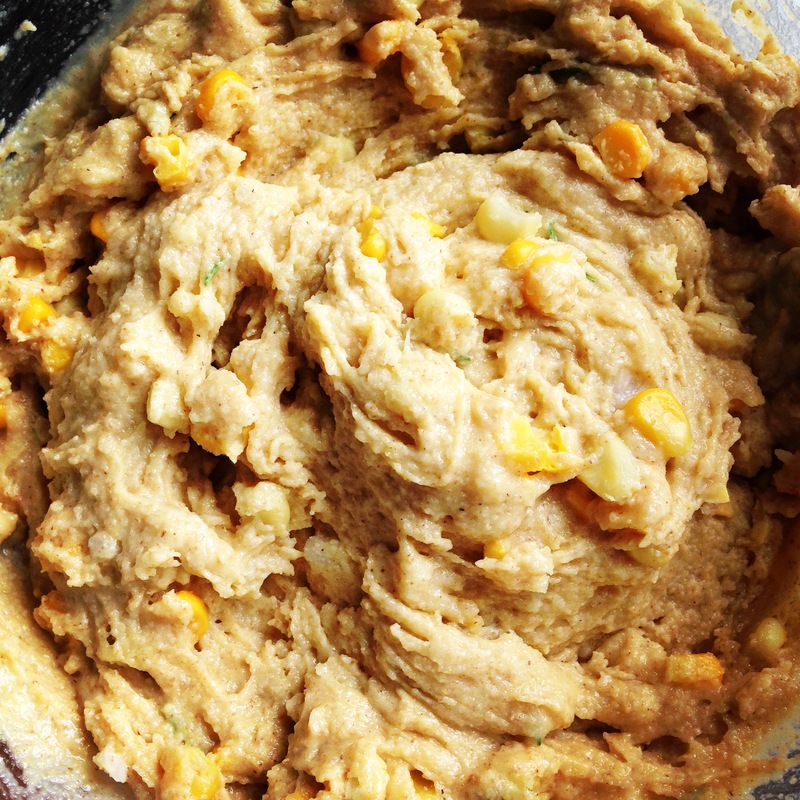 For example, 1 cup peas, 1/2 cup corn kernels, 1 small potato or 1/2 cup mashed potatoes are all equivalent to 1 portion of starch/grain product. Beets, carrots, tomatoes, etc. may be slightly higher in carbohydrates than mushrooms, cucumber, peppers, etc. but are not usually considered a substitute to grains. Optional: if you are not vegetarian/vegan and want a salty dose of protein, try adding 1/2 cup goat or sheep’s milk feta cheese to your batter. Should you choose to heed this advice, skip the 1/2 tsp. of salt the recipe calls for, as feta is an already salty cheese, to say the least. Other optional add-ins: onions, olives, sun-dried tomatoes, other fresh herbs. 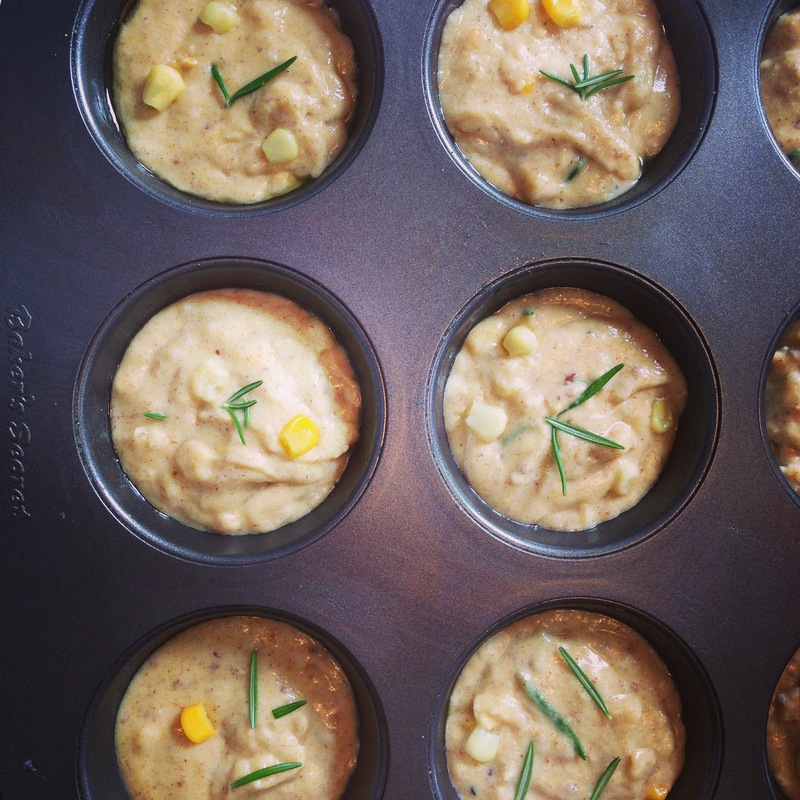 Spoon muffin batter into a 12-muffin muffin tray. Bake for 15-20 minutes or until golden and firm (at which point an inserted toothpick should come out clean). 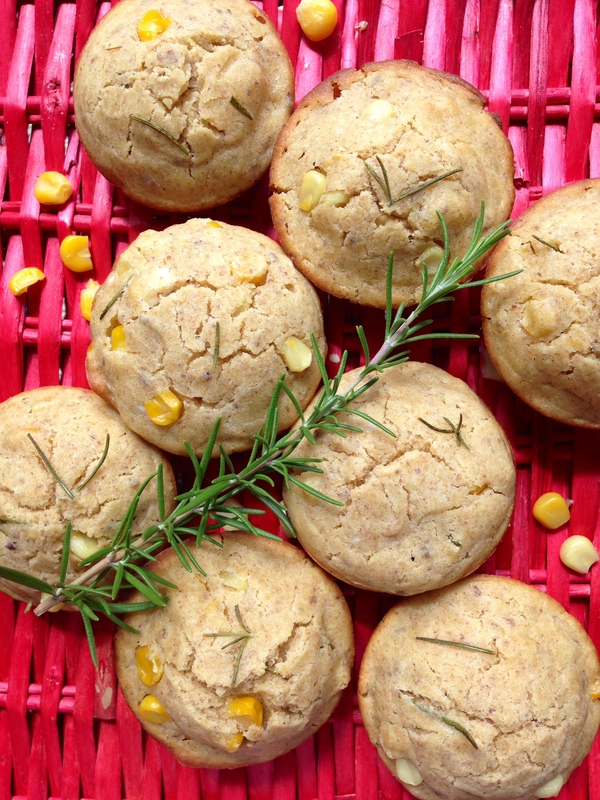 These muffins are actually a combination of sweet and salty. 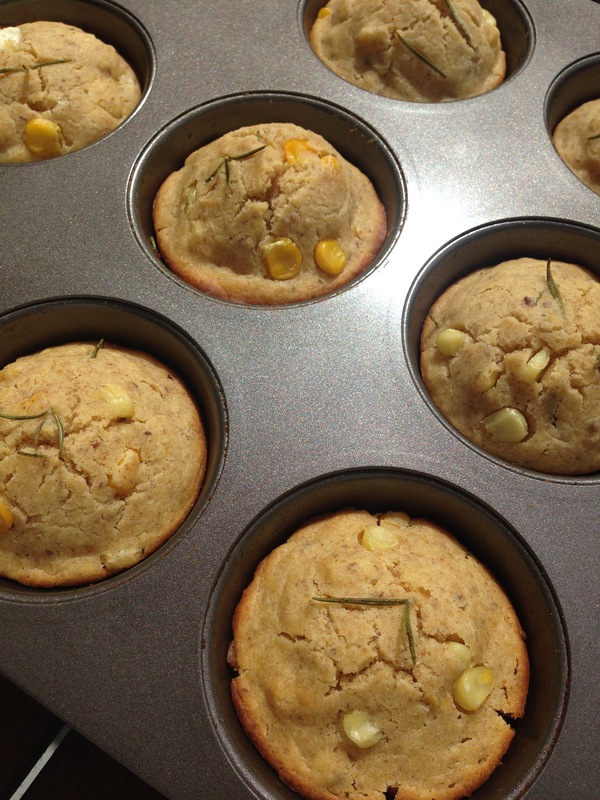 The corn adds natural and subtle sweetness while the rest of the batter itself is more salty/savory. Pair these with soup (dipping time! ), as part of your brunch, with a salad, topped with salsa, with a smear of hummus or tofu spread, with a beer, or enjoy them by their lonesome. Yummy yummy in your tummy! “So fluffy, I’m gonna die!”, lol.